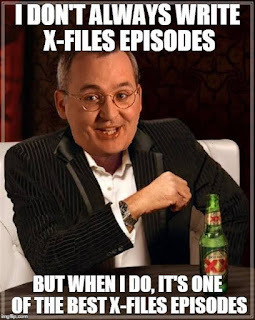 Remember when you used to look forward to every episode of The X-Files? But then one day you didn’t? Remember how it was a joy seeing Mulder and Scully together? And then it wasn’t. And then it wasn’t even Mulder and Scully. It was Scully and the T-1000 from Terminator 2. If you made it that far with the original series you got further than I did. I drifted away during the original run sometimes during season 5. My favorite writers had moved on. The ongoing conspiracy was getting all the more convoluted and it was becoming clear that things were being made up as they went along. I remember something about black oil and bees. In the following years, on occasion, I would tune in to see how the show had held up and was always disappointed. I understand that there are some later episodes that have a good amount of fans, but when the show was cancelled after season 9, most people felt it was time. The last episode did a surprisingly good job of tying all that conspiracy stuff together in a manner that maybe wasn’t much of a payoff, but had decent internal logic. As far as I’m concerned one of the reasons season 10 happened was because of Twin Peaks. When season 3 of Twin Peaks made international news, TV studios looked to their vaults to see what they could potentially bring back. NBC went with Heroes and Fox went with The X-Files. My initial interest levels weren’t much different to my interest in the series during its last four seasons. 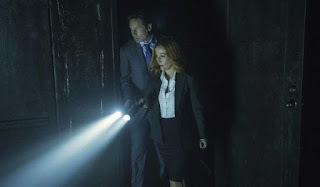 Sure it might be neat to see Gillian Anderson and David Duchovny return to the roles that really put them on the map, especially since both seem to have grown as actors in the intervening years, but did we need more Chris Carter scripted adventures? Then something I hadn’t expected happened. The three writers who had penned most of the episodes I loved from those first four (or so) seasons joined Carter in the writer’s room. While James Wong and Glen Morgan had their share of misses, Darin Morgan had only written a very small number of episodes with favorable results. Each was going to write and direct one episode. The season would be six episodes long. Carter would handle the other three. With this knowledge in hand, I decided to tune in. Heck, even Carter had written some great episodes back in the day. It was a safe bet. As I write this, the last episode of this short season has just ended on a cliff hanger and I’m angry. I’m angry at the garbage that Chris Carter served up in his episodes. I’m angry that the story arc they decided to go with was ‘what if that quack Alex Jones was right about everything!’ I’m angry that his episodes stereotyped Muslims as terrorists and Texans as all stupid racists. I’m angry that the finale exploited vaccine paranoia. Before the season started I wasn’t expecting to be angry. The show had never made me angry before. I was expecting the endless exposition... and it was endless... but I expected it. I wasn’t expecting pedestrian direction from the guy who made Postmodern Prometheus and Triangle, but aside from one shining moment of brilliance involving Mulder off his head on mushrooms (or not, maybe… who knows), pedestrian is exactly what his direction was. Where was the mood? Where was the mist and the grainy look to everything? Why was everything so well lit? Why did the series take every single opportunity it could to remind everyone that Mulder and Scully had a child together for that child to just be something they realize they need when it comes to the cliff hanger? I mean I guess I shouldn’t have been surprised given the series tendency to always leave the audience hanging on way too long for a payoff, but this seemed extra silly. Since their son only really became relevant to the plot right at the end, did we need reminding of him multiple times an episode in a short series? No. We didn’t. I could go on. I could go on about characters being brought back from the dead, who were clearly, irrevocably dead. I could go on about the multiple wordy recaps the show resorted to. But at that point, it would just feel like piling on. Maybe you loved seeing Mulder and Scully doing their thing, regardless of the quality of the episodes. Nostalgia is something I understand. I loved Jurassic World unabashedly, so I get it. The monster of the week episodes were generally regarded as the series at its best, and we had three new ones. 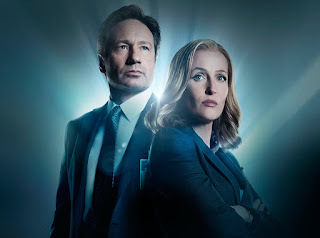 Two came from a pair of guys who wrote the best monster of the week episodes, and while Morgan and Wong (and how happy I am to be talking about Morgan and Wong scripted X-Files in 2016) didn’t come close to their best episodes, there on the screen was the show I used to love, finally returned to me. Wong’s episode featured a couple of super powered kids and some foreboding imagery with gathering crows. It also snuck in a little gore and was a fun enough hour. Wong can do better, and hopefully will get the chance, but I’ve been enjoying his work on American Horror Story, so it isn’t like I’ve been unable to experience his writing anywhere else. Glen Morgan’s episode had the most gore, and easily presented the most threatening monster in the "band aid nose man". Yes, it sounds silly, but he’ll rip off your limbs and take them with him, whisked away in his self driving dump truck. A scene set to a golden oldie hearkened back to Morgan and Wong’s ‘Home’ and was a high point, but all said, if this episode had been in one of the original seasons, it would have been seen as filler. Nothing more, nothing less. why we love him so much. His brother Darin dusted off a script he’d written for the short lived resurrection of ‘Kolchak The Night Stalker’, polished it up and updated it to write one of the best hours of television I have seen since Neil Marshall’s episode of Hannibal... and that’s no small praise. People are calling this one of the best episodes of the entire series and they aren’t wrong. It’s debatably Darin’s best episode of the show, and while I wouldn’t personally go that far, that it’s in contention with Clyde Bruckman’s Final Repose and Jose Chung’s From Outer Space is high praise indeed. It was funny, it was original, it had twists and turns I didn’t see coming, it had an amazing guest performance, it explored who Mulder and Scully are today, and had a worthwhile message. 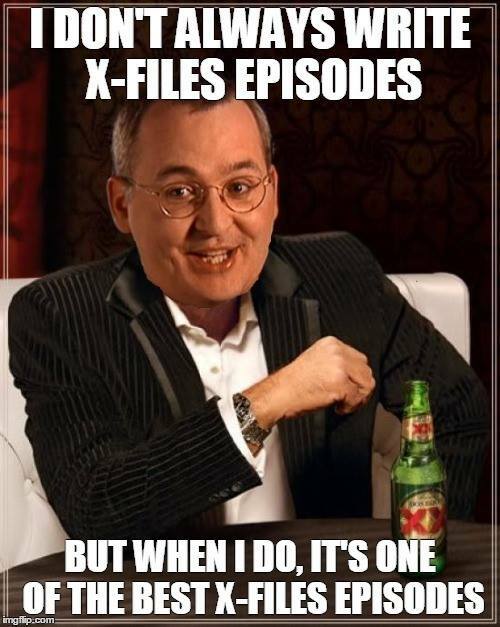 The best part about it... if you are vaguely aware of what The X-Files is, you can enjoy almost everything it has to offer. I highly recommend that you give it a watch. So what is The X-Files in 2016? A mess is what it was, but a mess that had a single episode so good as to justify its return, and other episodes with sparks of vibrancy and shades of when the show was at its best, Giving me genuine hope for a season 11. Even Chris Carter could find that magic once again. I wouldn’t bet on it, but so long as the writers room stays the same, I still think there’s hope that there are at least one or two more great stories left for Mulder and Scully to tell. ...And they can’t end it on that awful (as in BAD) cliff hanger.